A PREVIEWS Exclusive! New Production Run! 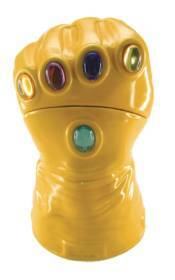 Use the power of the Infinity Gems not to dominate the universe, as Thanos would, but to protect your favorite cookies with this themed cookie jar!